Who was Mike Arnold? And why any airplane guy must watch this Youtube channel. Mike Arnold made video productions in California but loved flying almost more. He spent time working in Mojave repairing composite gliders and learning the foam/fiberglass art from folks in the area such as Burt Rutan’s shop. He then built the AR5 and set a 1992 speed record: 213 mph on 60hp. His videos used to cost money, but since his passing, I found them for free on YouTube. Here they are. What happened back in 1992 tripped everyone’s mind upside down. 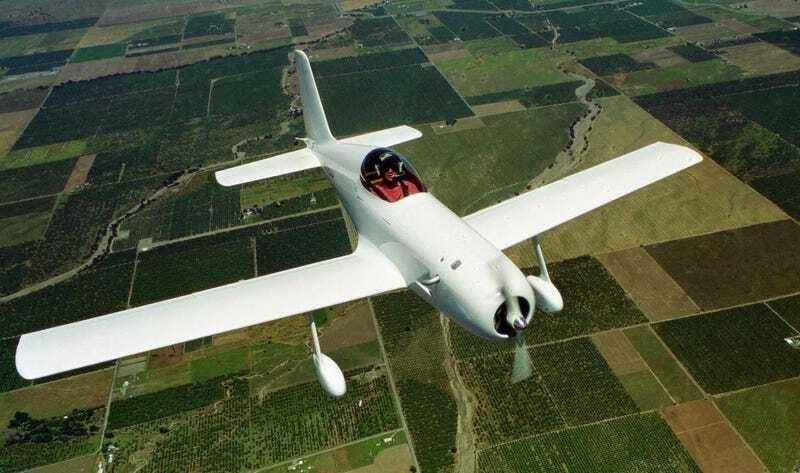 A 60hp two-stroke engine in a plane weighing less than 300kg flew 213mph. It was carved out of foam in a shop, glued together and fiberglassed like a boat. That’s it. It wasn’t carbon fiber prepreg in pressure molded autoclave ovens using computer iteration modeling. Nope. Just common sense design and standard wet-layup composite construction. It was also the first plane in history to measure in at under a square foot of frontal area. How he built it and how it went so fast are in these videos that used to cost nearly $100 for everything on VHS tapes. We’re lucky he videoed his whole construction process back in the days before DVD. You might have seen the news after Reno’s 2016 races; the runway collision race start. The AR6 is (was, until they build a new wing and it flys again) the fastest iF1 plane around the course at 260mph and supposedly can go 310mph when not turning, on possibly 150hp. (Modified O-200 engine at 4400rpm and prop tip speeds nearing 800mph) It could be the most efficient design to circulate the pylons. It’s faster than the previously dominant DR-90 Nemesis, which is now in the Smithsonian Udvar-Hazy museum. The video of how he made the fuselage mold for the AR6 is in the channel. Unfortunately the construction molds all burned up in a warehouse fire. So, this is the only one of it’s kind, and it costs too much to make new plugs from the existing plane. We have to ensure what we notably accomplish in our lives is available to everyone after we move to the next life. When Mike passed, December 2015, his website eventually went away, and after searching constantly, I can’t find any decent sized 3-view drawings or specifications of the AR5, and it’s hard to find anything on the AR6 for specifications as well. If you have any interest in design, building, thought behind experimental aviation then you must click on the channel and consume the knowledge. He might be a bit dry, but he can easily explain why about everything involved without getting too heady. I hope you enjoy them while they’re available.